Don't let respiratory circulation or back and neck pain prevent you from getting a good night's sleep. 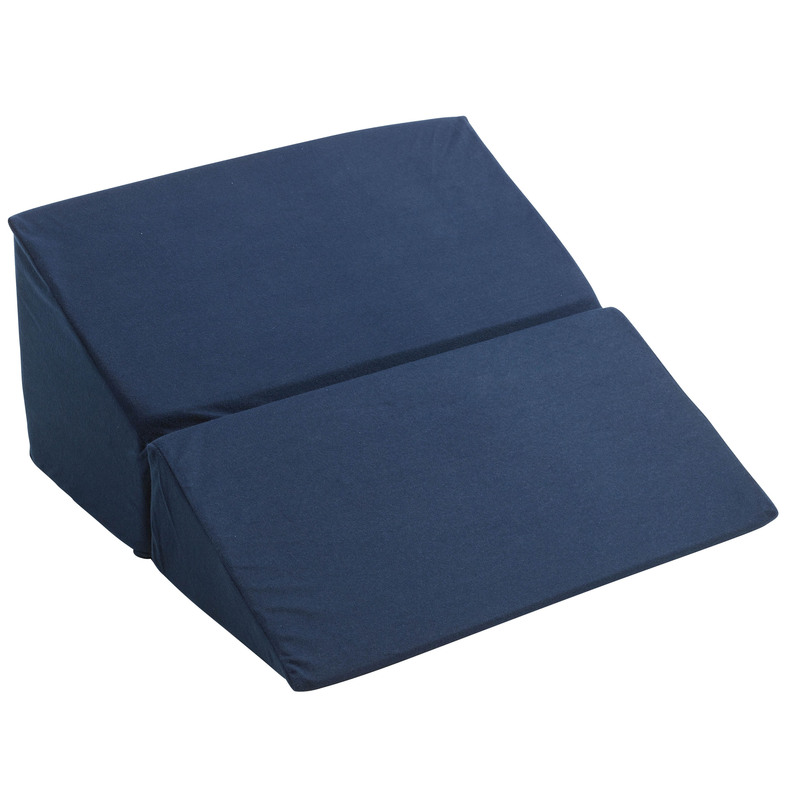 Instead experience the comfort that comes with using a Folding Bed Wedge from Drive Medical. A bed wedge provides a gradual incline to your body when lying down raising your head and shoulders to alleviate a number of symptoms - even acid reflux GERD and heartburn. Many even see improvement with snoring. Wedges are available in three heights to select the one that best meets your needs. Each one folds neatly for compact storage and includes a removable cover for easy cleaning. Available in 7.5 10 or 12 inch heights. Improve your sleep with a Folding Bed Wedge from Drive. Leg Elevator, Universal, 31-1/2" x 10"